Well your business has already made up the mind what kind of software services you need and how to choose the right outsourcing provider. Now you need to make the request for proposal. First we need to define what RFP exactly is. 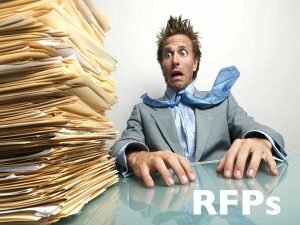 RFP (request for proposal) is the document which includes a commercial quotation about your requirements that you send to the vendors. After that you receive an answer with information about what they can offer you according to your request. It will help you to choose the most appropriate IT vendor for your business. The main goal of this document is to get trustworthy information about outsourcing company in all range of services you need. We want to share some tips with you how to make your RPF more comprehensive taking into account all necessary information. Don’t use patterns for RFP creation. The patterns can include unnecessary and useless information. You need to put in this document all that your company is interested to know. Gather your team to discuss all aspects that your RFP should consist of. Don’t forget to mention all actual risks and your capabilities. Narrow your vendor’s search to 5-6 prospective providers. You don’t need to send your RPF to 20 or more vendors, try to choose the most appropriate who can really meet general criteria. Before sending your commercial quotation, cooperate to your vendor directly. 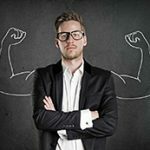 So you can get information about already completed projects, company’s principles and current position of the company in IT field. Take into account that IT outsourcing company will try to know as more information as possible about your financial position, company owner and management level, etc. So the more information you provide to the vendor, the more accurate quotation you’ll receive.